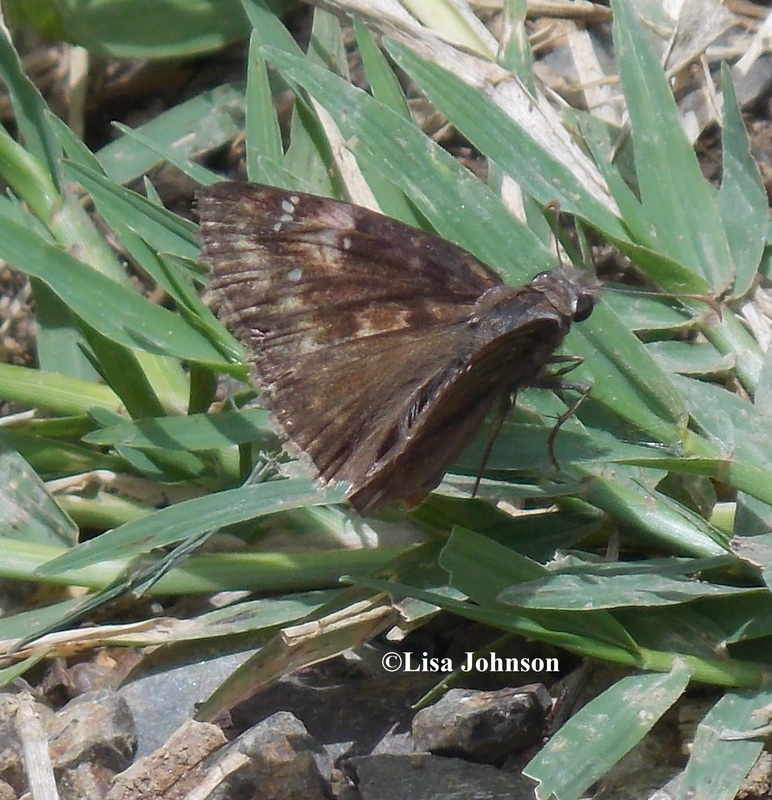 Identification: Forewing is narrow and pointed; hindwing is somewhat triangular. 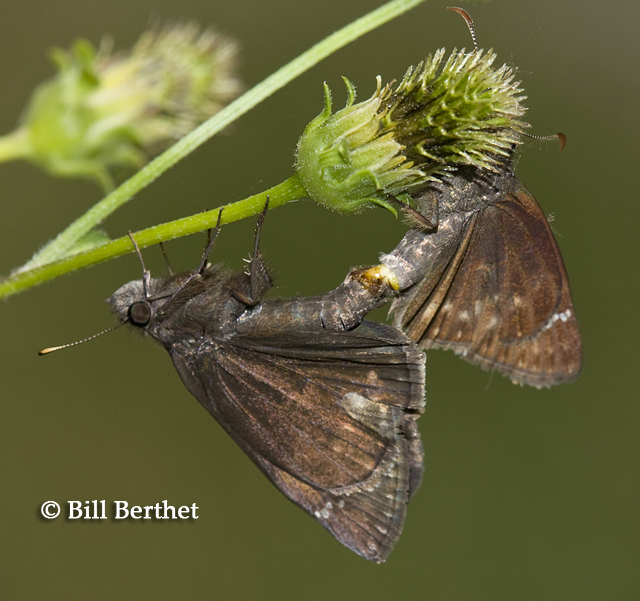 Upperside is dark brown with a reddish patch at the end of the forewing cell. Hindwing has brown fringes except for some individuals on the Florida Keys that have white fringes. Male has a costal fold containing yellow scent scales; female has a patch of scent scales on the 7th abdominal segment. Flight: Three broods in the Deep South from March to early October, emerging as early as late January in Florida. Caterpillar Hosts: Herbaceous legumes including black locust (Robinia pseudacacia), hairy bush clover (Lespedeza hirta), Colorado River hemp (Sesbania exaltata), and Sesbania longifolia. Adult Food: Flower nectar including that from shepherd\'s needle. Habitat: Wood edges, open fields, scrub. Range: Southeastern United States from North Carolina south to the Florida Keys, west to eastern Texas and central Oklahoma. Strays north to eastern Pennsylvania and Connecticut. Occurs also on Cuba and Hispaniola.